Castello Visconteo was built in 1360 by Galeazzo II Visconti, soon after the taking of the city, a free city-state until then. The castle used to be the main residence of the Visconti family, while the political capital of the state was Milan. North of the castle a wide park was enclosed, also including the Certosa of Pavia, founded 1396 according to a vow of Gian Galeazzo Visconti, meant to be a sort of private chapel of the Visconti dynasty. The Battle of Pavia (1525), climax of the Italian Wars, took place inside the castle park. 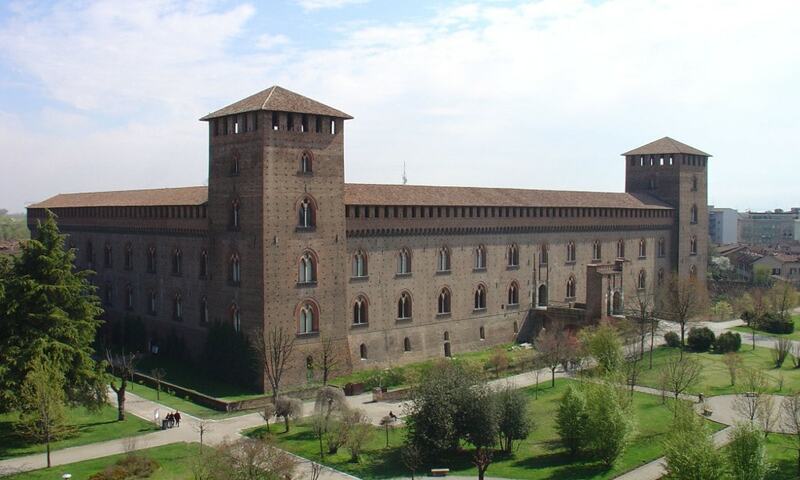 The castle presently houses the Civic Museums of Pavia (Museo Civici di Pavia).